FROM 1963 to 2000 David Irving collected thousands of documents trying to unravel the puzzle of Himmler, Hitler, and the Holocaust. Eventually the ten thousand pages filled two archives boxes like those above, and at the behest of defence lawyers in his action, DJC Irving vs. Penguin Books & Deborah Lipstadt, he began the Court-ordered task of providing a highly detailed inventory of these boxes. The inventory of Box 51 had been completed only to December 31, 1942, when the Lipstadt trial itself began in January 2000. 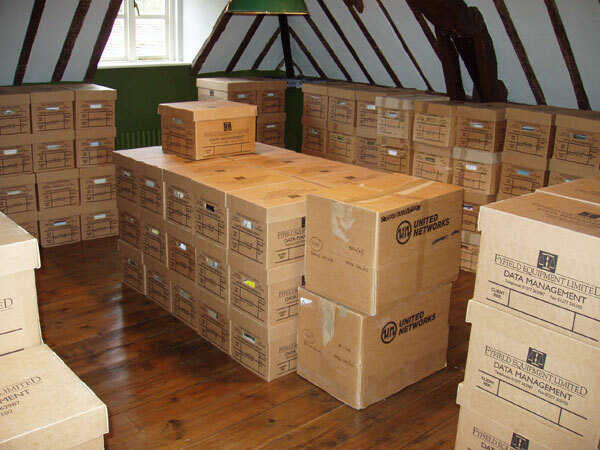 After the defeat of Mr Irving's action, his entire archives, of some 350 archive boxes containing documents, films, audio- and videotapes, was (wholly illegally) seized along with his home and other possessions. He sued for their return. On a High Court order, 170 boxes were returned to his custody in October 2007. The rest are missing - lost, destroyed, or passed on to rival historians. Box 51 is among those missing, a serious blow for Mr Irving's research. As an aid to Real History, he has now released the inventory he made as a pdf file, which remains of course his copyright.